Here in Kansas, it has been over 100 degrees for nearly 2 weeks. Summer is HERE with a vengence. 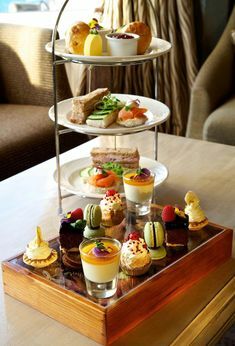 If you are ready to plan some “summer fun” then you need some original ideas for an awesome tea menu. Here are some of my top picks for MUST HAVE tea books. If you don’t collect tea books let me encourage you that you should. Tea books give you inspiration to create and if you want to create a great tea menu then these books will help you in the process. Give yourself a treat right now and buy one of these books for your collection. THEN! Plan a tea party for this spring. Let me know which book you chose and what recipes you used at your party. OOH and send photos. I would love to “see” your big event. 1. The Book of Afternoon Tea is an essential. I have had this book for years and it has some of the best “British” style tea recipes ever. My top pick in this book is their Lemon Curd. It is outstanding. I really can’t say enough about this simple to follow guide. There are photos and step by step recipes. If you don’t have it. Amazon has this book! 2. Invitation To Tea – This fantastic idea combines tea appropriate music with cool, easy to follow, recipe cards. The photos are lovely and they make great favors as well. Plan your event, use the recipes and then give the cards (tied with a bow) to each of your guests. They will love taking with them the recipes that they just tried. 3. 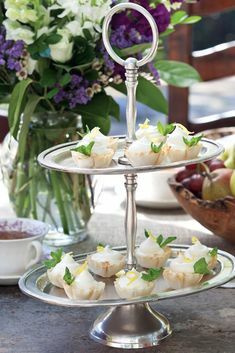 Tea Party: 20 Themed Parties with Recipes. This is a beautiful book with great ideas and recipes filled with inspiration. Not only would this book look great on any shelf but the content will help you create a spring tea event worth talking about. The party suggestions are perfect for afternoons with friends, bridal and baby showers, cocktail and dinner parties, picnics, and brunches. A Mad Hatter’s Tea Party–for a birthday or an unbirthday–will delight kids and adults alike with tea sandwiches made with edible flowers followed by Eat Me! Cupcakes. 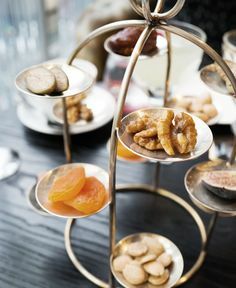 Chai Breakfast Tea reveals a fantastic recipe for the sweetly spiced irresistible drink along with recipes for chai-scented pancakes and candied almonds. Ideas and inspirations abound for fabulous, easy, and affordable invitations, decorations, table settings, and charming party favors that tie into each party’s theme. Tea Party Girls Asks: Which book did you pick for your top Tea Menu book and why? Leave your comments. Then share this post by tweet, facebook or email.